What are Common Errors on Tithing? Did Jesus and the Apostles Teach Compulsory Tithing for Christians? INQUIRIES have come in from time to time as to what the Scriptures teach on tithing. Many have asked if the Bible teaches that Christians are required to practice tithing. It seems that an increasing number of groups and individuals are teaching that Christians are obligated to tithe. The Seventh Day Adventists, the Mormons, the Worldwide Church of God (Herbert W. Armstrong's followers), Garner Ted Armstrong's followers and the Assemblies of Yahweh are some of these groups. Teaching that tithing is obligatory upon their followers has contributed largely to making some of these groups quite wealthy. Some of these send out attractive books, magazines and other literature free, stating that tithing by their followers enables them to do this. 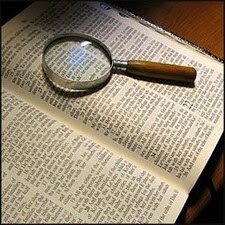 To assist the inquirers and others, we will here examine what the Scriptures say on this important subject and note where some have made unwarranted and erroneous conclusions. The English word tithe and also the Hebrew and Greek words translated tithe in the Bible mean a tenth; so tithing is the giving of a tenth of one's income, usually for religious purposes. Years ago, in many Catholic countries, tithing was bound on the people as a law; they were required to pay tithes like taxes to the priesthood. Some were required to do similarly for secular purposes. Today there are various taxes that people must pay to the governments, which amount to much more than a tenth, or tithe. In many countries some or all of the people give up a large portion of their income in taxes. The tenth, or tithe, as the rate of offering gifts to gods as a religious duty or for paying tribute to rulers existed in ancient times in Babylon, Persia, Egypt, and even in China. According to Herodotus, the Lydians offered a tithe of their booty. The Phoenicians and the Carthaginians sent a tithe annually to the Tyrian Hercules. Many mistakenly suppose that tithing as mentioned in the Bible began with the Law of Moses, but not so. The first Biblically recorded instance of tithing was over 400 years earlier; it is stated in Gen. 14, where the battle is described between Abram (Abraham) and his servants and five kings, resulting in a great victory for Abram and his servants and the rescue of his nephew Lot and family (Gen. 14:14-16). Afterward he met Melchizedek, King of Salem, "the priest of the most high God," who blessed him, saying, "Blessed be Abram of the most high God, possessor of heaven and earth and blessed be the most high God, which hath delivered thine enemies into thy hand." Abraham then "gave him tithes of all" the booty he captured (Gen. 14:18-20; Heb. 7:4). Note, however, that nothing is said or implied about compulsory tithing. Evidently Abraham gave tithes to Melchizedek voluntarily, out of gratitude to God, especially for the great victory, and not because he was required to do so. There is no indication that Abraham regularly gave him a tenth of his increase. The Apostle Paul in Heb. 5 and 7 explains that Jesus is High Priest, not of the Aaronic order (which Jews, to whom he was writing, thought was the only valid priesthood), but of the Melchizedek order (Psa. 110:4). The Melchizedek order, Paul there explains, is the older, higher and greater one, because Levi, from whom the Aaronic priesthood descended, was in the loins of Abraham when he was blessed by and gave tithes to Melchizedek. Thus Abraham and Levi (a future descendant) in his loins are indicated as recognizing Melchizedek as higher and greater than they were — "without any dispute the lesser is blessed by the greater" (Heb. 7:7, NASB; comp. Rotherham, RSV). The second instance of tithing mentioned in the Bible before the giving of the Law Covenant by Moses is in Gen. 28. Jacob, fleeing to Haran because his brother Esau had vowed to kill him, was given the wonderful ladder dream, in connection with which he was assured that God's blessings and favor would be with him, and the Abrahamic Covenant promise was confirmed to him (Gen. 28:12-15). Jacob was so awed by this dream that he exclaimed, "This is none other but the house of God, and this is the gate of heaven"! He set up the stone he had slept on as a pillar and named the place Bethel (house of God; Gen. 28:16-19). "And Jacob vowed a vow, saying, Seeing God will be with me, and will keep me in this way that I go, and will give me bread to eat, and raiment to put on, when I come again to my father's house in peace; then shall Jehovah be my God, and this stone, which I have set for a pillar, shall be God's house; and of all that thou shalt give me I will surely give the tenth [tithe] unto thee" (vs. 20-22; comp. Dr. Young's translation). It seems evident, as Young shows, that Jacob here was not bargaining with God. Jacob did not say that if Jehovah would be with him give him various things, he would then, on that condition, have Jehovah as his God rather than some other god and would give the tithes to Him, because in v. 15 Jehovah had already promised that He would be with him, would guard him wherever he would go and would bring him back safely to his homeland. Jacob was not doubting Jehovah and His promises; rather, in great faith in Him and His promises, and in deep gratitude and appreciation, Jacob was vowing that he would continue to have Jehovah as his God and would give Him a tenth of all that He would bestow upon him. Thus Abraham's grandson Jacob also desired to and determined to give tithes to Jehovah. It is not stated to whom Jacob would give them, or did give them, but it seems evident that he would and did give them to some servant of Jehovah, perhaps someone like Melchizedek. It is even more evident in Jacob's case than in Abraham's that tithing was not obligatory. His giving tithes was voluntary, free-will giving. Under the Law Covenant, Jehovah made special regulations pertaining to the firstfruits. A sheaf of the firstfruits of the harvest was waved on Nisan 16, the morrow after the sabbath (Lev. 23:10, 11; it types Jesus' resurrection on the third day). The firstlings of man and beast were to be set apart to Jehovah (Ex. 13:12); later the Levites were exchanged for the firstborn of man (Num. 3:12, 13, 41, 45). These firstfruits and also some of the heave offerings of the children of Israel were not called tithes, but other heave offerings were so designated (Num. 18:24). Tithing under the Law Covenant is first mentioned in Lev. 27:30-34: "All the tithe of the land, whether of the seed of the land, or of the fruit of the tree … the tithe of the herd, or of the flock, even of whatsoever passeth under the rod, the tenth shall be holy unto the LORD." Tradition says the herds and flocks were driven through a narrow place under a rod, and every tenth one, whether a choice or an ordinary animal, was marked as belonging to Jehovah. If other animals were exchanged for marked ones, then both animals were to be Jehovah's. If certain tithes were redeemed, it was required that a fifth part be added. Thus selfishness was discouraged. These tithing regulations were "commandments" (v. 34); tithing was obligatory upon the children of Israel—it was not voluntary in their case. But also they gave voluntarily (Ex. 35:4-9; 36:5, 6). We read of tithes under the Law Covenant also in Num. 18:20-28: "The LORD spake unto Aaron, Thou shalt have no inheritance in their land. … I have given the children of Levi all the tenth in Israel for an inheritance, for their service … of the tabernacle of the congregation. … But the tithes of the children of Israel … I have given the Levites to inherit. … Thus speak unto the Levites … When ye take of the children of Israel the tithes … then ye shall offer up an heave offering of it for the LORD, even the tenth part of the tithe. … And ye shall give thereof the LORD'S heave offering to Aaron the priest." Thus the children of Israel gave their tithes to the Levites, since they had no inheritance in the land, and they in turn gave tithes to the priests, so that the priests had "tithes of the tithes." See also Deut. 18:1-5. Tithing under the Law Covenant is mentioned also in Deut. 12, written almost 40 years later. Vs. 5, 6 say, "But unto the place which the LORD your God shall choose out of all your tribes to put his name there, even unto his habitation shall ye seek … and thither ye shall bring your burnt offerings, and your sacrifices, and your tithes." This arrangement was to be for them particularly after they would go over the Jordan River and would be in the land of Canaan. They were then to go up with their offerings and tithes to God's chosen place for each tribe. Vs. 17, 18; 14:22-29 mention the secondary or festival tithes: "Thou shalt truly tithe all the increase of thy seed. … And thou shalt eat … in the place which he shall choose to place his name there, the tithe." "At the end of three years [comp. Amos 4:4] thou shalt bring forth all the tithe of thine increase the same year, and shalt lay it up within thy gates: and the Levite (because he hath no part nor inheritance with thee) and the stranger, and the fatherless, and the widow, which are within thy gates, shall come, and shall eat and be satisfied; that the LORD thy God may bless thee in all the work of thine hand which thou doest. These additional, secondary tithes were to be eaten by themselves when they went up to the yearly festivals (Ex. 23:14-17). Also, they were eaten at times by others as just mentioned. Thus all in Israel were well provided for, without some becoming very rich and others very poor. In Deut. 26:12-15 the children of Israel were exhorted that after they had finished their tithing, "Then shalt thou say before the LORD thy God, I have brought away the hallowed things out of mine house, and also have given them unto the Levite, and unto the stranger, to the fatherless, and to the widow, according to all thy commandments … I have not transgressed thy commandments, neither have I forgotten them: I have not eaten thereof in my mourning, neither have I taken away ought thereof for any unclean use, nor given ought thereof for the dead: but I have hearkened to the voice of the LORD my God, and have done according to all that thou hast commanded me. Look down from thy holy habitation, from heaven, and bless thy people Israel, and the land which thou hast given us, as thou swarest unto our fathers, a land that floweth with milk and honey." Thus they renounced any known guilt, and assured Jehovah that they considered that they had done according to His commandment. Obeying it was obligatory for them. Centuries later, after the temple was built, the tithes were taken into the temple treasuries. In Neh. 10:38 we read, "The Levites shall bring the tithe of the tithes unto the house of our God, to the chambers, unto the treasure house." One of the great problems of the nation of Israel (a problem wherever human nature is) was difficulty in keeping this tithing law. From time to time Israel backslid, and more or less forsook tithing, and then from time to time repented and resumed it. For example, in the days of Hezekiah, after a period of national backsliding, he decreed great reforms, including tithing, in Israel: "And as soon as the commandment came abroad, the children of Israel brought in abundance the firstfruits of corn, wine, and oil, and honey, and of all the increase of the field; and the tithe of all things brought they in abundantly" (2 Chron. 31:4, 5). Neh. 12:44; 13:4, 5, 12 describe what happened in his day: "And at that time were some appointed over the chambers for the treasures, for the offerings, for the firstfruits, and for the tithes, to gather into them out of the fields of the cities the portions of the law for the priests and Levites: for Judah rejoiced for the priests and for the Levites that waited." This was after the 70 years' desolation and the return from exile, and after the temple had been rebuilt. An outstanding Old Testament passage on tithing is Mal. 3:7-10: "Even from the days of your fathers ye are gone away from mine ordinances, and have not kept them. Return unto me, and I will return unto you, saith the LORD of hosts. But ye said, Wherein shall we return?" The nation of Israel was then greatly backslidden and corrupt (Mal. 1:7-14; 2:1-17). Yet they were apparently so self-righteous that they saw no need of reformation. Accordingly, God now gave them a specification: "Will a man rob God? Yet ye have robbed me. But ye say, Wherein have we robbed thee? In tithes and offerings. Ye are cursed with a curse: for ye have robbed me, even this whole nation. Bring ye all the tithes into the storehouse, that there may be meat in mine house, and prove me now herewith, saith the LORD of hosts, if I will not open you the windows of heaven, and pour you out a blessing, that there shall not be room enough to receive it. And I will rebuke the devourer for your sakes, and he shall not destroy the fruits of your ground; neither shall your vine cast her fruit before the time in the field, saith the LORD of hosts. And all nations shall call you blessed: for ye shall be a delightsome land, saith the LORD of hosts." This passage is used frequently to try to prove that tithing is obligatory upon Christians, but it does not say or imply this; rather, as it plainly states, it applies to "the whole nation" of Israel, the only nation that "from the days of your fathers" was ever given the tithing law as an obligation. Of course, there are good thoughts that Christians can take from this Scripture; but they should not try to use it to prove that they are under the law of compulsory tithing, or any other feature of the Law Covenant. Some, like H. W. Armstrong and his followers, teach the unscriptural Anglo-Israel theory, and so mistakenly claim that Mal. 3:7-10 applies to them because as modern English-speaking people, they are modern-day Jacob or Israel. In our Anglo-Israelism—a Strong Delusion article—a copy free on request—we have proven that this theory is unscriptural and unfactual. Others claim that Mal. 3:7-10 teaches what they call "storehouse tithing," i.e., that all offerings should be made to their local church and not to any other group or to any individual. It is evident that this teaching also is unscriptural. The "storehouse" that Malachi referred to was evidently the temple treasuries in Jerusalem, as, e.g., Psa. 87:1-7 and 132:1-18 show. It does not in any way indicate that donations are to be made only to churches in one's locality. The tithing law, given by Jehovah to the nation of Israel as an obligation under the Law Covenant, was obeyed by them at times and in varying degrees, from the time of its giving onward throughout the Jewish Age and into its Harvest, when Jesus was on earth. He spoke of tithing in Matt. 23:23, as follows: "Woe unto you, scribes and Pharisees, hypocrites! for ye pay tithe of mint and anise and cummin [they were very diligent in tithing even the smallest kinds of seeds], and have omitted the weightier matters of the law, judgment, mercy, and faith [love is mentioned in Luke 11:42]." Then He added, "These ought ye to have done, and not to leave the other undone." This is another passage that some, including the Armstrongs and their followers, use to try to prove that Christians are obligated to pay tithes. But notice that here Jesus was speaking to Jews—scribes and Pharisees. It was an obligation on them as Jews under the Law Covenant to pay tithes (Luke 18:12); and so He said, "These ought ye to have done." If they would have come into Christ, then they would no longer have been under the Law Covenant, including tithing as an obligatory requirement. "Christ is the end of the law for righteousness to every one that believeth" in Him as Messiah (Rom. 10:4; 7:1-4). Christians, during the Gospel or Church Age, are shown by the Apostle Paul not to be under antitypical Hagar, the Law Covenant, but under antitypical Sarah, the Grace Covenant (Gal. 4:22-31; see The New Creation, pp. 339-347). Matt. 5:17-19 is another New Testament passage in which some claim that Jesus taught tithing is obligatory on Christians. He said, "Think not that I am come to destroy the law, or the prophets: I am not come to destroy, but to fulfill. For verily I say unto you, Till heaven and earth pass, one jot or one tittle shall in no wise pass from the law, till all be fulfilled. Whosoever therefore shall break one of these least commandments, and shall teach men so, he shall be called the least in the kingdom of heaven: but whosoever shall do and teach them, the same shall be called great in the kingdom of heaven." They claim that if any break the tithing law, or one of the least commandments of the Law, such will be considered least in the Kingdom of heaven, but that if they obey such precepts, they will be called great in the Kingdom. What such teachers do not give sufficient weight to are Jesus' words, "I am not come to destroy, but to fulfil." "Moses verily was faithful in all his house as a servant … but Christ as a son over his own house; whose house are we, if we hold fast the confidence and the rejoicing of the hope firm to the end" (Heb. 3:5, 6). Tithing was made obligatory on the house of servants, "Israel after the flesh" (1 Cor. 10:18), but not on the higher house, the house of sons. Jehovah and Jesus have recognized in the Gospel-Age house of sons only those with the mind of Christ in sufficient measure (Phil. 2:5; 1 Cor. 2:16). For the Gospel-Age house of sons, Jehovah has had higher, greater and grander precepts than the commandments of the Law Covenant, which He had for the house of servants. Jesus shows this in the context following Matt. 5:17-19. E.g., in vs. 21-26 He shows that instead of having "thou shalt not kill" only as their precept, as the house of servants did, His followers are given a higher, greater and grander precept, namely, that being angry with a brother (or having hatred for a brother—1 John 3:15) is in God's sight considered as being like murder (the oldest Greek MSS. omit the words "without a cause" in v. 22). Other examples are given in vs. 23-37. Furthermore, in vs. 38-48 Jesus shows that instead of having "an eye for an eye, and a tooth for a tooth" as their precept, His followers are to have a higher, greater and grander precept, namely, they are not to return evil for evil. He told them additionally, "Love your enemies, bless them that curse you, do good to them that hate you, and pray for them which despitefully use you, and persecute you." Jesus thus taught His followers, the house of sons, to have unselfish, disinterested love, or good will, for God, for Himself, for fellow Christians, for people of the world and even for enemies. This is the highest, greatest and grandest of all qualities—"the greatest of these is love" (1 Cor. 13:13). In the case also of giving for the furtherance of God's work on earth, Jesus gave His followers, the house of sons, a higher, greater and grander instruction on giving than tithing. We are helped to understand this by considering the case of Jesus and the rich young Jewish ruler (Matt. 19:16-29), who asked him, "Good Master, what good thing shall I do, that I may have eternal life?" Jesus replied, "If thou wilt enter into life, keep the commandments." The young man then told Him that he had kept all these precepts from his youth up, and asked, "What lack I yet?" He thought that he had been doing everything he should have been doing, which undoubtedly included paying his tithes, according to his obligation as a Jew under the Law Covenant. But he wanted to know if there was possibly anything more he should do. "Jesus said unto him, If thou wilt be perfect, go and sell that thou hast, and give to the poor, and thou shalt have treasure in heaven: and come and follow me." Here Jesus was setting forth the higher, greater and grander teaching, which does not involve merely giving 10%, but involves full dedication, or consecration, giving to God all we have and are — 100% — all of our time, talents, influence, means, possessions—everything. After we have consecrated, or dedicated, our human all to God, He then makes us stewards of it. In the Bible we are exhorted repeatedly to be faithful as God's stewards (Matt. 25:14-29; Luke 12:42; 16:1-12; 1 Cor. 4:1, 2). As God's stewards He expects us to use for furthering His work whatever of our human all that is not necessary for us to use to provide and care for things that are decent and needful for ourselves and those who are properly dependent on us (1 Tim. 5:8). Whatever proportion of our human all is not needed for this purpose, whether large or small, we as God's stewards are to seek to use wisely day by day (Luke 9:23) to further His interests, in spreading the Gospel message as due in our day, in doing good to all men as we have opportunity, especially to the household of faith (Gal. 6:10). This may include using for this purpose 90% or more of our income in some cases, or 50%, or 10%, or even less, or nothing at all if all of our income is needed to provide properly for ourselves and our dependents. Bible teachings and principles seem nowhere to indicate that destitute, debt-ridden Christians must donate money, or must tithe their income, as some claim who teach that all Christians must tithe. But voluntary giving, even by the very poor, is highly commended in the Bible (Mark 13:41-44; 2 Cor. 8:2). The giving of the tithe (tenth) under the Law Covenant is thus fulfilled in the higher, greater and grander arrangement that God through Jesus gave to Christians—the full consecration or dedication of all. The compulsory tithing arrangement was for the house of servants, but it is not what God has arranged for the house of sons. The Scriptures do not, nor do we say anything against Christians giving 10% of their income to further God's work, if this is the amount they have available after meeting proper obligations. Many have been blessed richly and will continue to be blessed greatly by tithing; but the giving of this 10% should not be regarded as compulsory for Christians. All giving should be voluntary. And we are not to regard 10% as God's and 90% as belonging to us. Rather, we are to regard the whole 100% as belonging to God and that after providing for ourselves and our dependents, we are to use whatever portion we can, whether more than 10%, or even less, to further His work on earth. This giving should be joyful (2 Cor. 8:2; 9:7). Some look on their tithing, including tithing they consider as compulsory, as a form of "insurance" with God, and attribute their measure of material prosperity, good health and success to it. Such a viewpoint was justifiable for the Jewish nation under the Law Covenant, who were promised abundance and national prosperity if they kept God's laws (Lev. 26:1-13; Deut. 5:29-33; 29:9; Josh. 1:7; Prov. 3:9, 10). But we who are under grace, and not under the Law Covenant (Rom. 6:14, 15), are not guaranteed material prosperity, good health and success, no matter how great our faithfulness to God (John 15:18, 19; 16:33; 17:14; Acts 14:22; 2 Tim. 2:12; 3:12). John Wesley, with a regular income of 30 pounds, used only 28 pounds for his own upkeep and used two to further God's work; and when his income was raised to 60 pounds and finally to 120 pounds, he still used only 28 and used the rest in the Lord's work. The consecrated, or dedicated Christian does not think about how much he or she is required to give, and how much can be kept, but rather about how much can be given of money, as well as of time, talents, influence, other possessions, etc., to further God's interests. Oberlin, a poor French minister, reading of Jewish tithes, said to himself: "Well, I am sure that I, as a Christian, have three times as many blessings as the Jews had. If it was right for a Jew to give one-tenth to God, surely I ought to give at least three times that much." God really desires not just the giving of 10% or more or less of our income, but our full consecration, our full dedication, the giving of ourselves, our little human all. One can give 25% or 50%, or even up to almost 100% of his income, but if he does not dedicate his heart, mind and will to God and be faithful, it will not gain him an entrance into eternal life in God's Kingdom. Because of family obligations and other obligations, some may not be able to give much of their time, talents and influence directly to serving God's interests, but can serve mainly by giving money. God expects each one to be a good steward, according to his ability (Matt. 25:15). Jesus evidently did not expect the rich young ruler to immediately sell all he had, and give the proceeds promptly and indiscriminately to the poor in earthly possessions, and become a pauper. If the young ruler had fully consecrated and had become Jesus' disciple (Matt. 16:24), He would doubtless have given him further instruction as to the wise disposition of the wealth in his stewardship. Jesus and His disciples were doubtless given money from time to time by those they served, and had a treasurer (John 12:5, 6; comp. John 6:5-7), so were not penniless beggars. Manifestly, Jesus wanted those who would be His disciples to dedicate, or consecrate themselves to God, to give to God their minds, hearts and wills, as He did (Heb. 10:7-9). He realized that God sought them, not their possessions. "My son, give me thine heart, and let thine eyes observe my ways" (Prov. 23:26; comp. 2 Cor. 8:5; 12:14). He knew that if the minds, hearts and wills are truly given, then all is given, dedicated, consecrated, to God, and this means 100%. It is thus evident that Jesus, instead of teaching Christians, of the house of sons, to practice compulsory tithing, gave them the higher, greater and grander teaching, namely, that each of His disciples was voluntarily to give 100% of his human all to God in consecration, and then be His steward in using in His service whatever proportion was not needed for providing and caring for one's dependents, whether this was more or less than 10%. It is evident that He did not teach compulsory tithing for His disciples. Some claim that Jesus' words when sending forth His twelve Apostles and seventy Evangelists (Matt. 10:9, 10; Mark 6:7-11; Luke 9:1-5; 10:3-11) must mean that He taught tithing: "Provide neither gold, nor silver, nor brass in your purses, nor scrip for your journey … for the workman is worthy of his meat." But nothing is said about tithes or tithing, compulsory or otherwise. It was proper that such prominent, qualified fulltime servants of God would have their food and lodging provided by those to whom they were ably ministering the Gospel. Some use Jesus' words in Matt. 22:17-31; Mark 12:13-17 to try to uphold their claim that He taught that tithing is compulsory for Christians. The Pharisees and Herodians had asked Jesus a question which they thought would entrap Him: "Is it lawful to give tribute unto Caesar, or not?" On His request they showed Him a tribute coin, and He then asked "whose is the image and superscription?" When they said, "Caesar's," He replied, "Render therefore unto Caesar the things which are Caesar's; and unto God the things which are God's." Jesus was showing His Jewish hearers that they should pay their taxes to the civil rulers (see also Matt. 17:24-27; the Apostle Paul taught Christians likewise—Rom. 13:1, 7). And it is evident that when Jesus said that they were to render to God the things which are God's, He was not specially referring to tithing, for the Pharisees were very careful about that (Matt. 23:23). But what they should have been rendering to God, but were lacking in, were judgment, mercy, faith and love. They were not properly prepared; they should have been ready to render to God their all in full dedication, or consecration, and ready to become Jesus' disciples, as He advised the rich young Jewish ruler. The teachings of the Apostles on this subject agree with those of our Lord. There is nothing in them about compulsory tithing for Christians. The Apostle Paul gave some related thoughts, though he mentioned tithing only once, and that not by Christians, as we will see. Jesus told His Apostles that whatever arrangements they under the guidance of the Spirit would make for the Church to practice would be approved by the Heavenly Father and by Him—"Whatsoever ye shall bind on earth shall be bound in heaven: and whatsoever ye loose on earth shall be loosed in heaven" (Matt. 18:18). If tithing was to be bound on the church, the Apostles would have taught it to the Church. But they did not! This is evident also from Acts 15, which describes the meeting of the Apostles and elders to consider what would be obligatory for Gentile Christians, because some Judaizers were contending that the Gentile Christians in addition to believing on Christ were obligated to be circumcised and to keep the Mosaic Law, which would include obligatory tithing (Acts 15:1-5). Did the Apostles decide that the Gentile Christians were obliged to practice tithing? Absolutely not! We see that the Gentile Christians were enjoined to abstain from pollutions of idols, from fornication, from the eating of things strangled and from blood (Acts 15:20, 29; 21:25), but there was not one word about Gentile Christians taking up the practice of tithing. The Apostles did follow Jesus in teaching Christian stewardship and giving, but did not teach that tithing is obligatory on Christians. Following this teaching, early Christians joyfully gave far more than 10% (Acts 2:44, 45; 4:32-37). The Apostle Paul wrote in Rom. 12:1: "I beseech you therefore, brethren, by the mercies of God, that ye present your bodies a living sacrifice, holy, acceptable unto God, which is your reasonable service." Here he was earnestly entreating the brethren, because of God's great past favors to them, to dedicate, consecrate, their minds, hearts and wills—their human all—100% to God, as a living sacrifice, to be used up gradually for Him, as a reasonable service. In v. 8 he says, "He that giveth, let him do it with simplicity [liberality, disinterestedness, ASV, Diaglott]." In 1 Cor. 9:1-15 the Apostle Paul defends his Apostleship and—as a very prominent qualified full-time servant of God—his authority to have his food provided by those to whom he ministered. And to what did he appeal to show from the Scriptures that he had such authority? Was it to the fact that tithing was obligatory upon Christians as it was upon the Jews in Old Testament times? The fact that he did not shows that he did not consider tithing obligatory on Christians. Rather, he first appealed, for example, to Deut. 25:4, which shows that if an ox is set to work treading out the grain, you should not put a muzzle on it, but allow it to eat the grain it needs. He gave also several other Old Testament instances, including temple servants eating of the sacrifices, but nothing here or elsewhere about tithing, and making it obligatory on these Corinthian brethren or other Christians. Paul says in v. 15, "I have used none of these things." He had not emphasized this authority in their midst. Rather, he had worked with his own hands, so as not to be chargeable to them for his necessities (1 Cor. 4:12; comp. Acts 18:3). In 1 Cor. 16:1, 2 we read: "Now concerning the collection for the saints, as I have given order [direction, Rotherham] to the churches of Galatia, even so do ye. Upon the first day of the week let every one of you lay by him in store, as God hath prospered him, that there be no gatherings when I come." The Lord's saints in Jerusalem were in special need, and so voluntary donations were being made to assist them. The Apostle advised all to lay something aside for them if possible on every first day of the week. Note carefully that he did not say anything about a tithe, or the use of tithes, as he might have if he had believed and taught that tithing was obligatory on Christians. Rather, each one was to give as God had prospered him. In other words, giving was to be in proportion to how God had prospered him during the past week. With some this may have been far above 10% of his income; with others it may have been less than 10% of it. In 2 Cor. 9 the Apostle again speaks of the donations for the needy Jerusalem saints, but again nothing about using tithes or making tithing obligatory on Christians for this purpose. V. 7 says, "Every man according as he purposeth in his heart, so let him give; not grudgingly, or of necessity [not of compulsion, as in tithing under the Law]: for God loveth a cheerful giver [one who gives joyfully, with a grateful, loving heart]." We have already called attention to Heb. 7, the only place in the New Testament were the Apostles mention tithing, and to the Apostle Paul's explaining there that Jesus is a High Priest, not of the Aaronic order, but of the older, higher and greater Melchizedek order, because Levi, from whom Aaron descended, paid tithes to Melchizedek while still in Abraham's loins (Heb. 7:7, NASB, etc.). Those who teach that tithing is compulsory for Christians usually claim on the basis of Heb. 7 that the law of compulsory tithing under the Aaronic priesthood is now altered, or changed, so that the tithes must now be paid instead to the Melchizedek Priesthood. And they make it quite clear that they are prominent members of the Melchizedek Priesthood, to whom God's people are now obligated to pay the tithes! We should re-emphasize that nothing is said or implied in the Bible record about Abraham's giving tithes to Melchizedek being compulsory. The Bible states only that Abraham "gave him tithes of all" the booty (Gen. 14:20). Evidently Abraham gave the tithes to Melchizedek voluntarily, out of gratitude to God and not because he was required to do so, even as we have seen that Jacob voluntarily, out of gratitude and appreciation to God, vowed to give tithes to Him (Gen. 28:22). Therefore there is no basis for claiming that compulsory tithing was transferred from the Aaronic priesthood to the Melchizedek priesthood. Jesus became the High Priest of the Melchizedek order after His resurrection. Psa. 110:1, 4 prophesied that it would be when He would sit at Jehovah's right hand. Heb. 1:3-5; 6:19, 20 (comp. Heb. 9:23, 24) show clearly that He was exalted to the Father's right hand after His resurrection from the dead. Then He became the Church's High Priest and King. Melchizedek was both priest and king—"priest of the most high God" and "King of righteousness," "King of peace" (Heb. 7:1, 2). In the Aaronic priesthood, Aaron was the high priest and there were also underpriests. The same is true of the Melchizedek Priesthood; Jesus is the High Priest and His Church, His Body members (Rom. 12:4, 5; 1 Cor. 12:12-27), are the Underpriests. Even in their earthly lifetime, while in preparation, the Church are referred to in the Bible as "a chosen generation, a royal priesthood, an holy nation, a peculiar people; that ye should show forth the praises of him who hath called you out of darkness into his marvellous light" (1 Pet. 2:9). They are called "kings and priests" who "shall reign on earth" (Rev. 5:9, 10). As Jesus did not become the High Priest of the Melchizedek Priesthood until in the resurrection, so it is with the Underpriests. They are the Melchizedek Underpriesthood after their resurrection. "Blessed and holy is he that hath part in the first resurrection: on such the second death hath no power, but they shall be priests of God and of Christ, and shall reign with him a thousand years." "They lived and reigned with him a thousand years" (Rev. 20:4, 6). They could not "live" with Him until in the resurrection with Him. And they can reign with Him only after they live with Him in the resurrection. The Apostle Paul strongly criticized the Corinthian brethren for claiming that they were reigning in their earthly lifetime, saying to them, "Now ye are full, now ye are rich, ye have reigned as kings without us: and I would to God ye did reign, that we also might reign with you" (1 Cor. 4:8). In Zech. 6:12, 13, we read: "Behold the man whose name is The BRANCH … and he shall bear the glory, and shall sit and rule upon his throne; and he shall be a priest upon his throne: and the counsel of peace shall be between them both." This is how Jesus and the rest of the Melchizedek Priesthood reign—as "a priest upon his throne." Thus it is very clear from the Scriptures that Jesus and the Church are not the Melchizedek Priesthood in their earthly lifetime, but only in the resurrection. Therefore the claim of some that they are of the Melchizedek Priesthood while in the flesh is proven by the Scriptures to be false. Also, it would obviously be wrong according to the Bible examples and teachings for some members of the Priesthood even in the time of preparation, the earthly lifetime, to be obligated to pay tithes to one another! We see from this how grossly erroneous is the teaching of those who claim that tithing is compulsory on Christians because the law of tithing under the Aaronic priesthood is now altered or changed so that tithes must now be paid to the Melchizedek Priesthood, in which they prominently include themselves! We repeat, it would be entirely out of place for the Priesthood to be obligated to pay tithes to one another. We have now completed our examination of the Scriptures on the subject of tithing. We have noted that tithing evidently was voluntary in the cases of Abraham and Jacob, that it was compulsory under the Law Covenant and continued to be binding upon the Jews in the Jewish Harvest, when Jesus was on earth, that Jesus set forth a higher, greater and grander arrangement for Christians, in which they do not give only 10%, but all, in full consecration, or dedication, to God, and then become His stewards. We noted Scriptures that are claimed by some to teach compulsory tithing for Christians, but found that they do not really do so. Nevertheless, the Bible is full of the spirit of giving, Jehovah in His great love has continually been graciously giving, including especially the unspeakable gifts of His Son Jesus Christ (2 Cor. 9:15) and His Spirit (Luke 11:11-13). And Jesus in His great unselfish love gave His life a Ransom for all and has been continually giving. The Apostles gave unselfishly and God's true servants ever since in love have given in various ways. And the Bible encourages all of God's people to give, not only 10%, but in unselfish love to give all to God in consecration, or dedication, and then gladly be His stewards, to joyfully use our human all as wisely as possible for Him, including whatever proportion of money talent is not needed for providing things needful and decent for ourselves and our dependents. We trust that all have been enriched spiritually by this study.